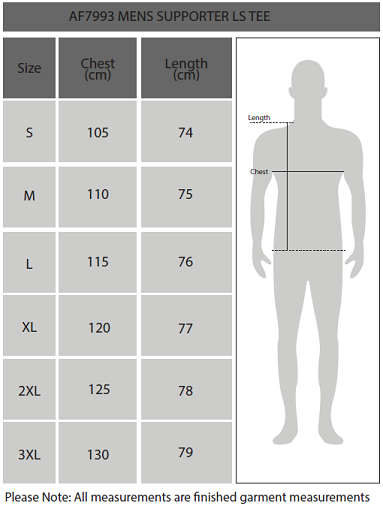 Dress for style and comfort! 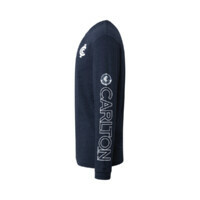 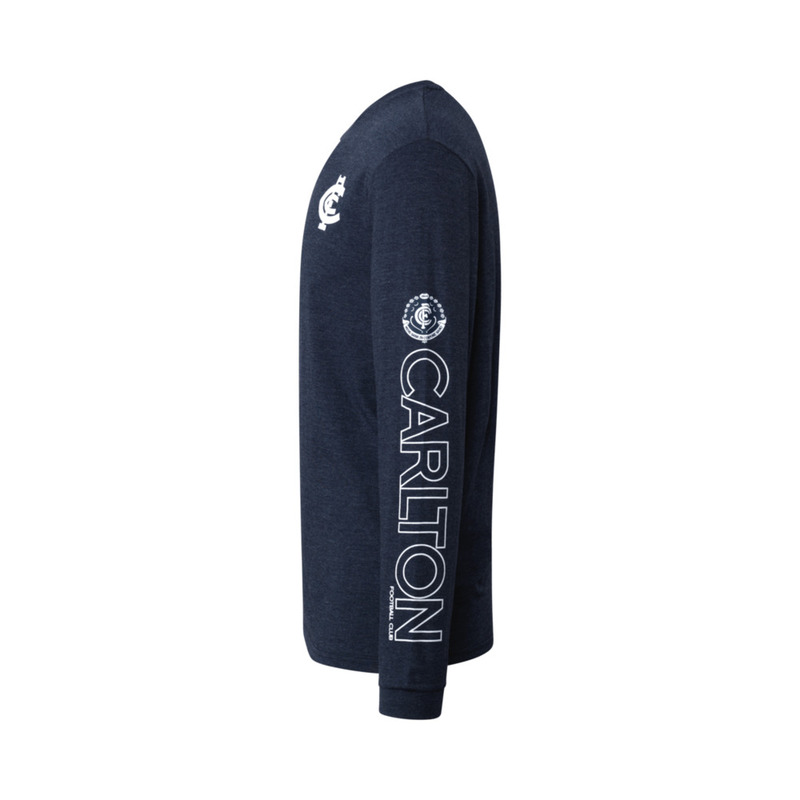 With a Carlton Blues Mens Supporter Long Sleeve Tee you can easily show off your club pride while being stylish and comfortable. 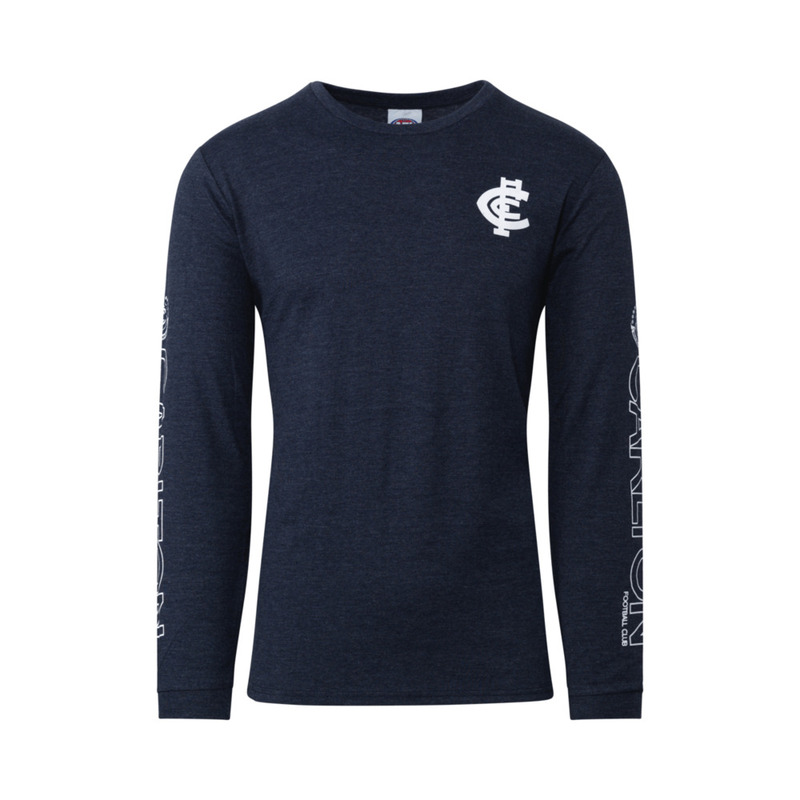 The cotton/polyester jersey tee has a simple but stately design, with the clubs logos and monograms positioned on the chest and arms in a soft plastisol print. 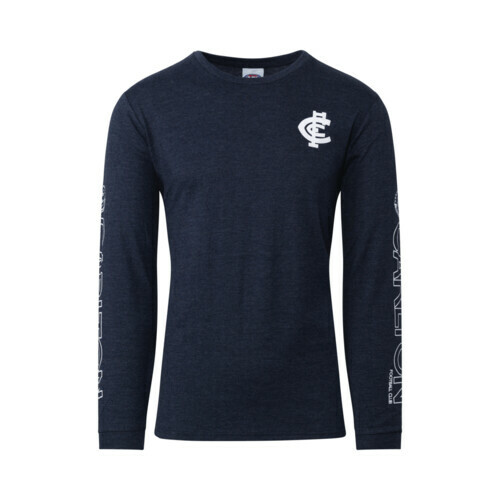 The perfect t-shirt for the fashion concious supporter!